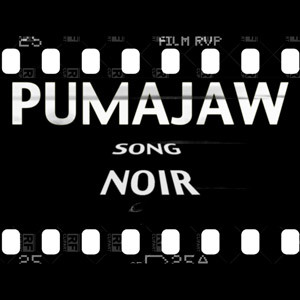 Pumajaw are chanteuse extraordinaire Pinkie Maclure and musician/sound designer John Wills. 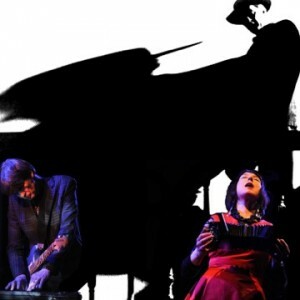 Using guitar, concertina, autoharp and cutting-edge technology, this retro-futuristic new show blends classic songs from cult movies – including Night of the Hunter, Kiss Me Deadly and Twin Peaks – with the duo’s own sensuous originals and darkly bewitching ‘film noir’ visuals. "Wills' guitar loops and samples create a sound that a full-blown band might struggle to craft. The theatricality of Maclure's performance seduces you into a weird and scary world and the way she handles the concertina would make the knees of grown men tremble"
"…. a voice that would, in a better world, deliver the greatest Bond theme ever." "Atmospheric arrangements and a voice that is thrillingly world-class"
"The Scottish songstress with the disarmingly beautiful voice - a kind of anglophone Juliette Gréco -- is back with this superb set. John Wills' eerie production and covers of songs by David Lynch let you know she is in touch with her dark side, and on tracks such as 'Frozen in Sleep' she positively bewitches with her haunting sincerity. " The Scotsman 50 Best Picks for the Fringe 2013!